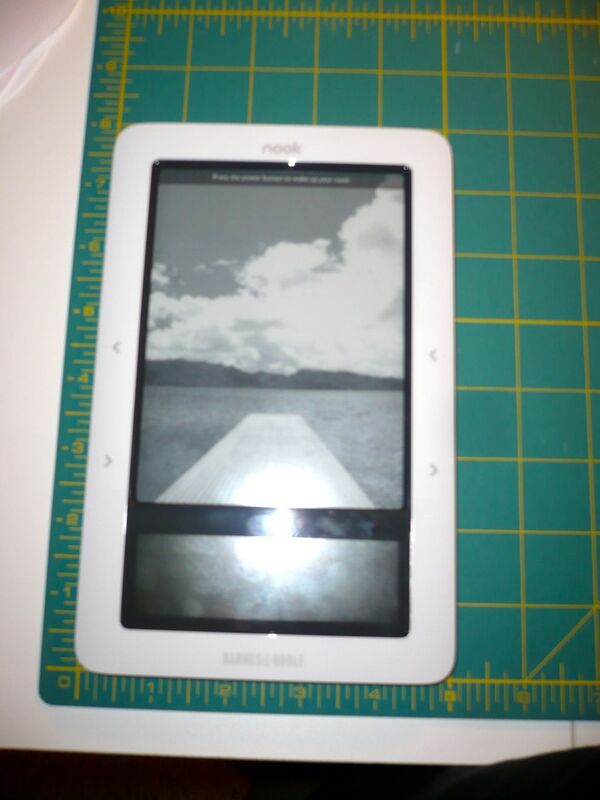 I decided that I didn’t want the same style of Nook cover that I made for Hubby’s Nook. 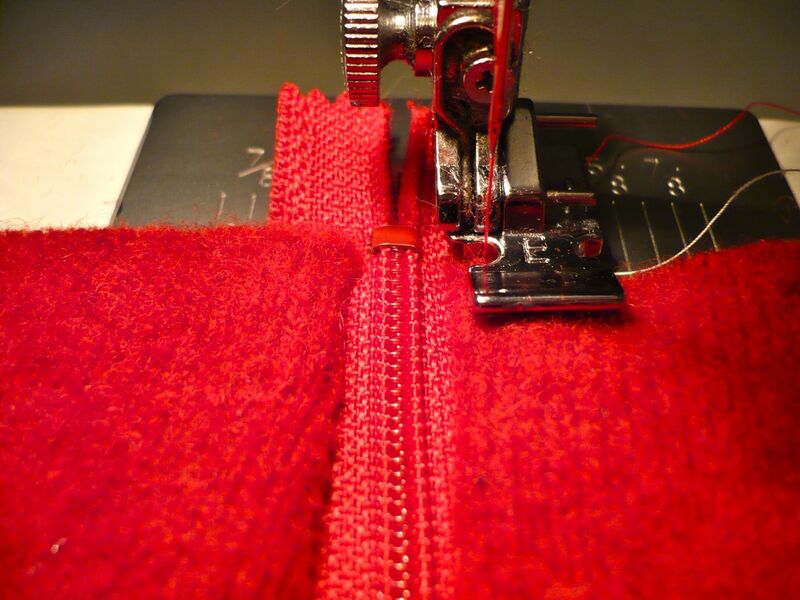 What I came up with was a simple zippered sleeve made from a recycled wool sweater and some cotton fabric. This really is easy to do if you have a couple of things…. 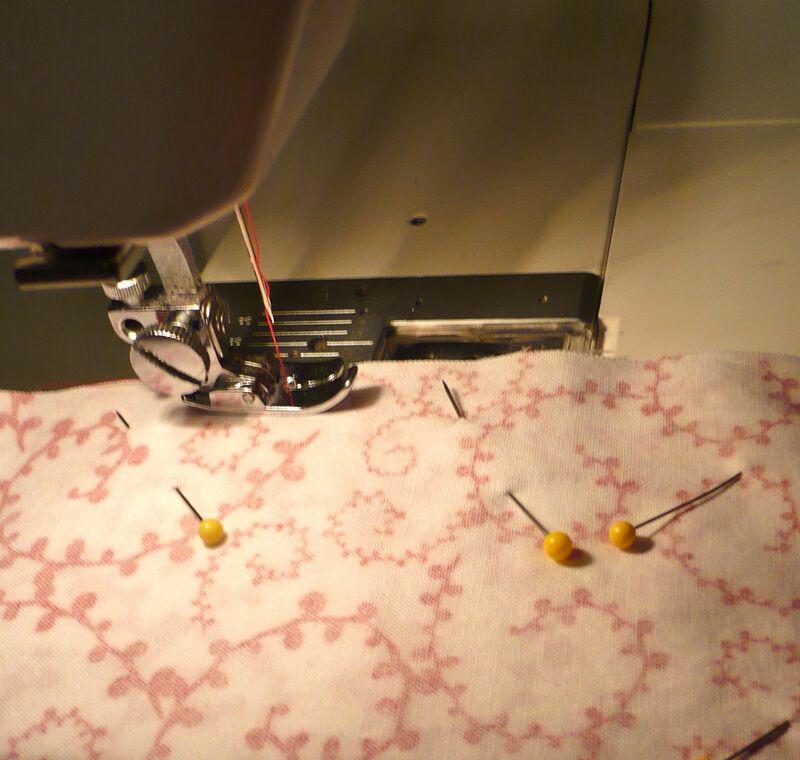 besides the obvious… sewing machine et al. A zipper foot, while it sounds scary, it really is necessary and not scary at all. 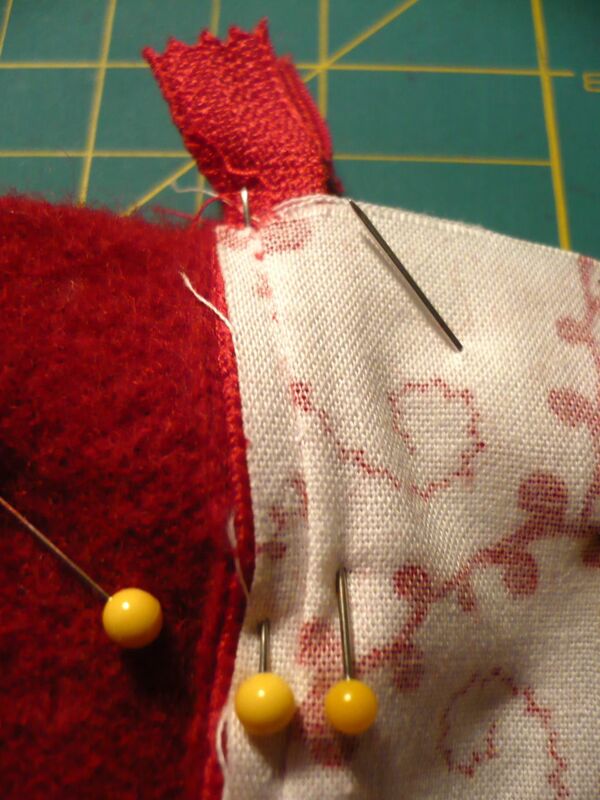 Pinning is very important to keep things aligned and zipper parts where they need to be. I used part of a felted sweater for the outside and cotton printed quilting fabric on the inside. A nook is 5 x 8 inches. 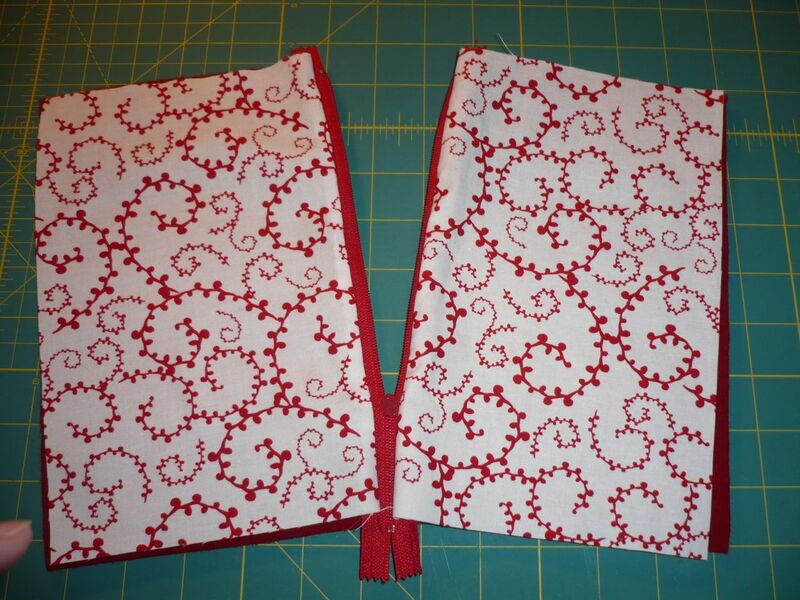 If you are using this tutorial to make a larger sleeve for a laptop or a smaller one for an Iphone or some other gadget, just take the measurements for each side and add 1 1/2 inches to each length to get the size fabric you need. 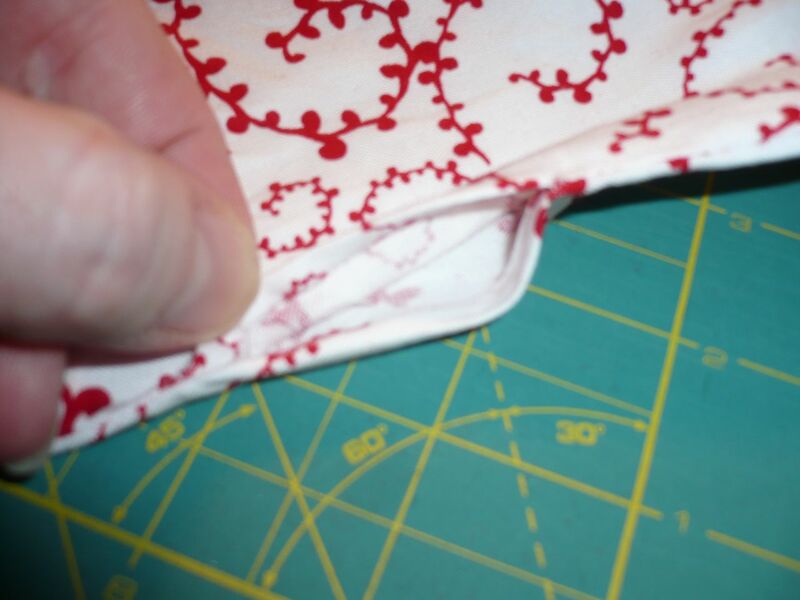 This allows for 1/4 inch seams all throughout and a 1/4 inch of wiggle room inside the finished sleeve. So if your laptop is 13 x 9, your would need to cut 2 pieces of inner and outer fabrics at 14 1/2 x 10 1/2 to make it big enough. 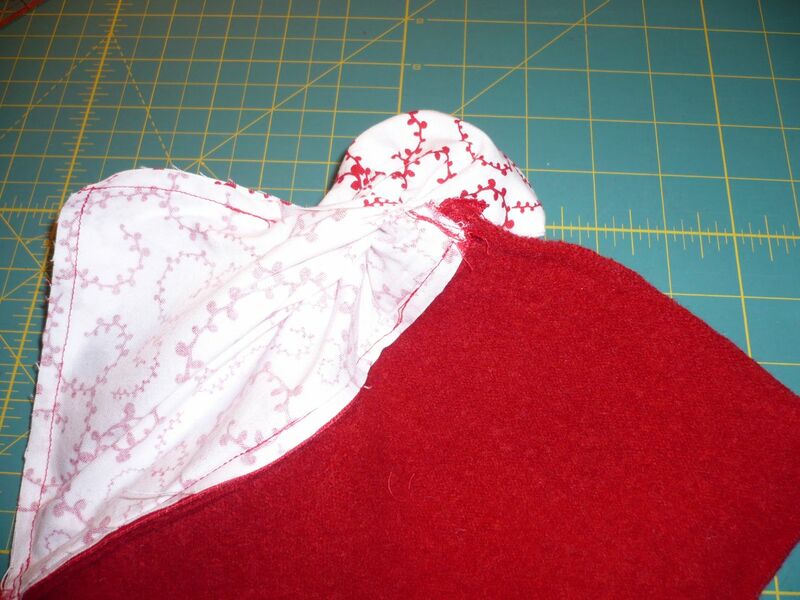 Lay out one of the inner pieces right side up with the long sides up and down. Lay the zipper right side up on one of the long sides, lining the right hand side of the zipper with the edge of the fabric. 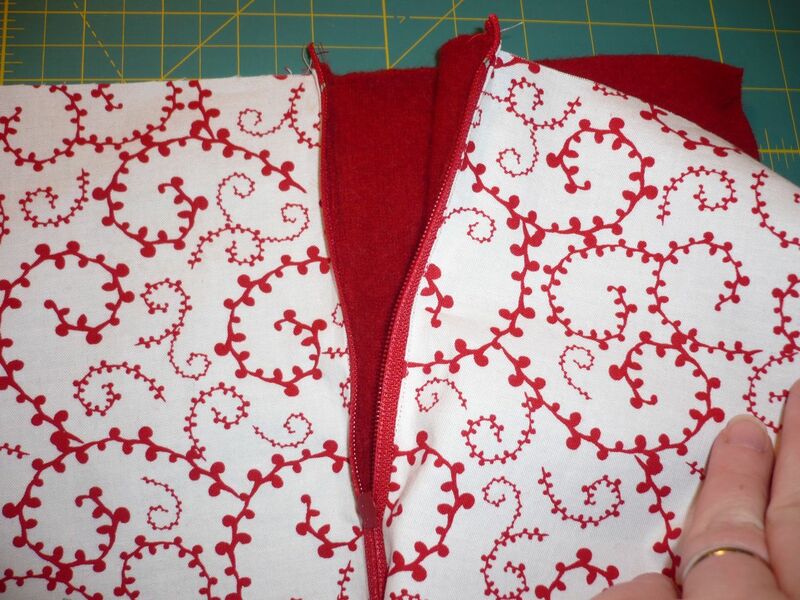 Overlay the outer fabric, Wrong side up, on top of the zipper and line it up with the inner fabric and zipper. 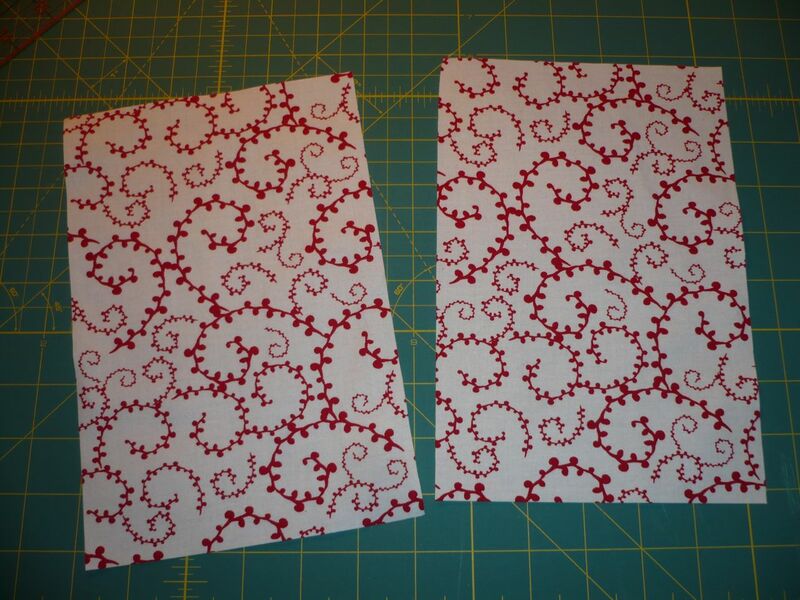 The right sides of the fabric will be facing each other. Pin all three layers to keep them from shifting. Having a zipper foot is important here. 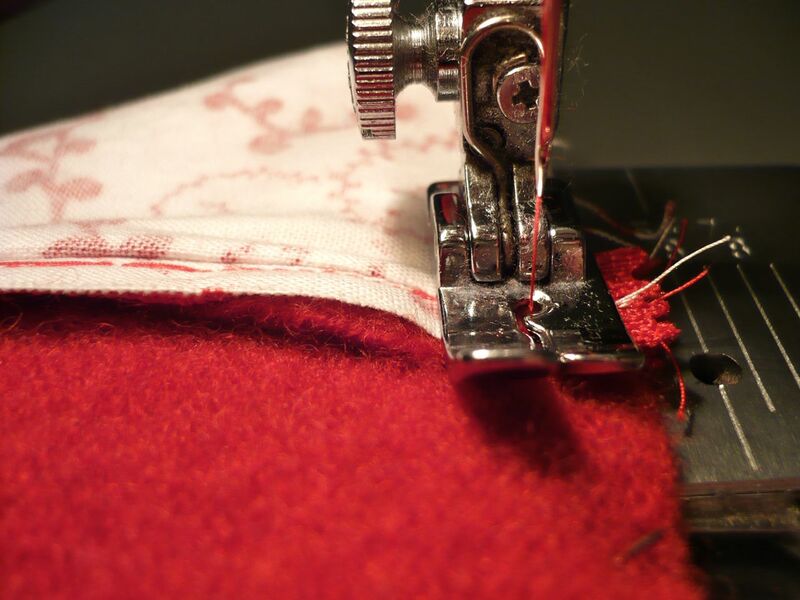 Without it your machine may push the fabric out, or the fabric may not advance properly. 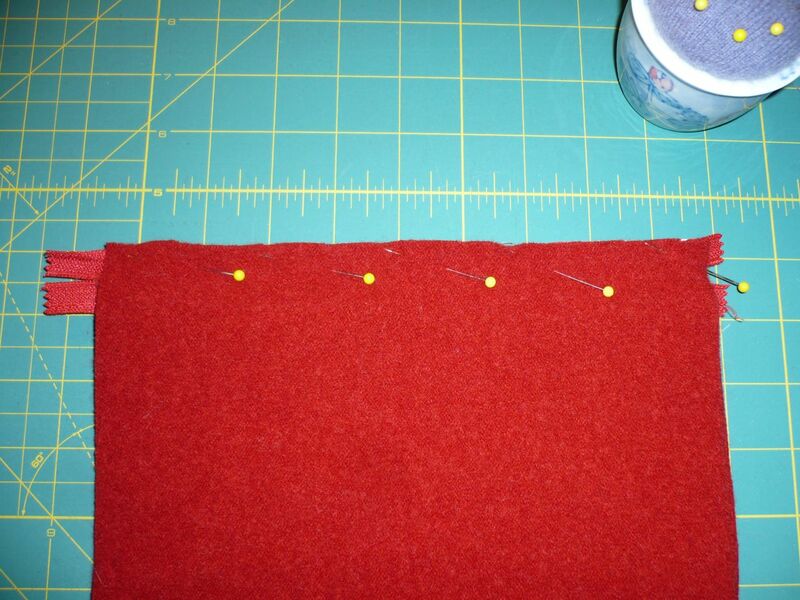 Sew along the edge of your pinned fabric sandwich about a 1/4 inch. 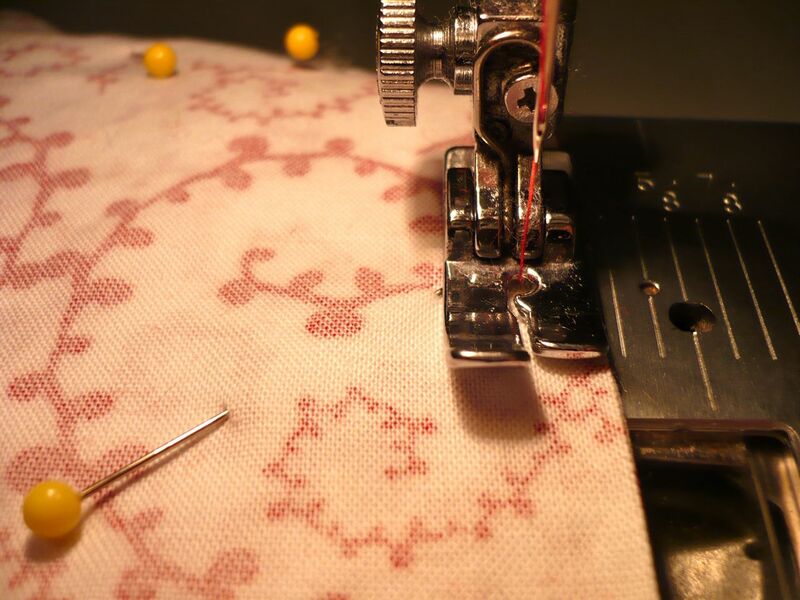 Sew along to the end and back stitch a few stitches to secure your thread. There is one of those infamous needle breaking metal bits! 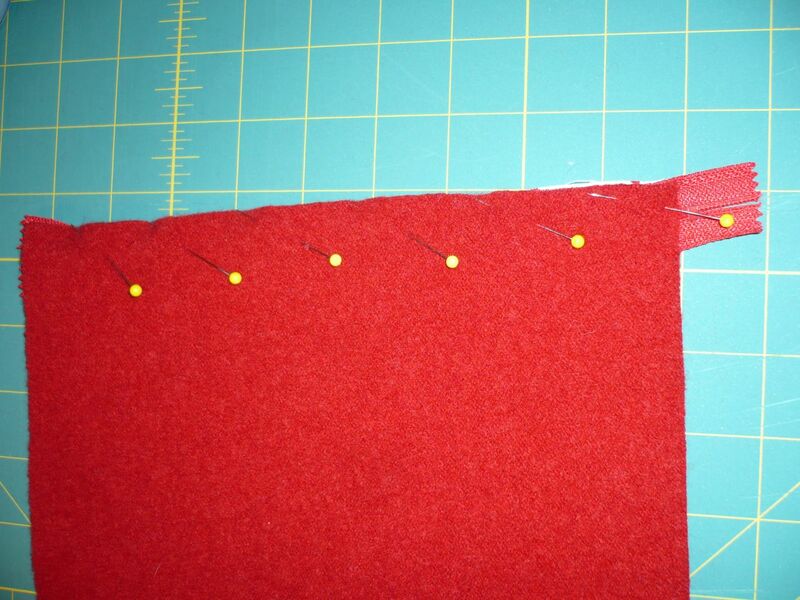 Line up the remaining inner and outer pieces on the other side of the zipper and repeat sewing as above. 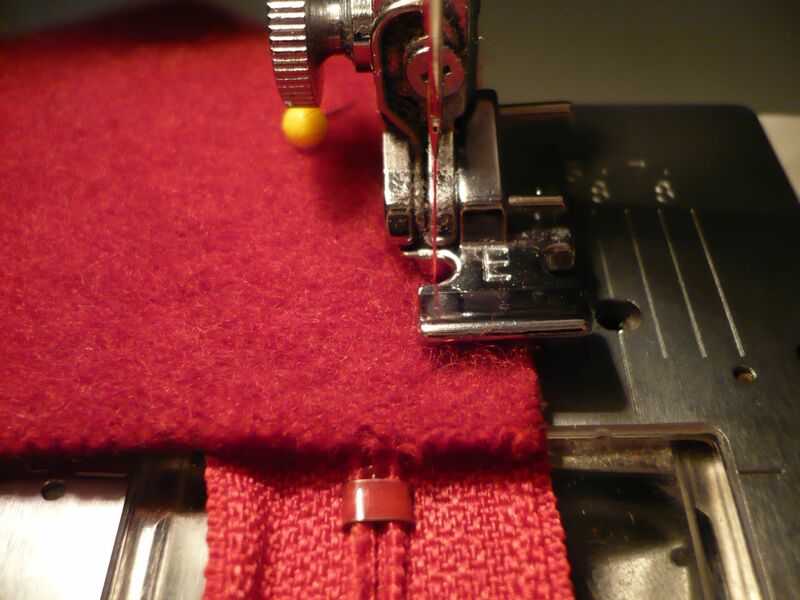 Be sure your fabrics line up with the edges of the previously sewn fabric along the short edges. 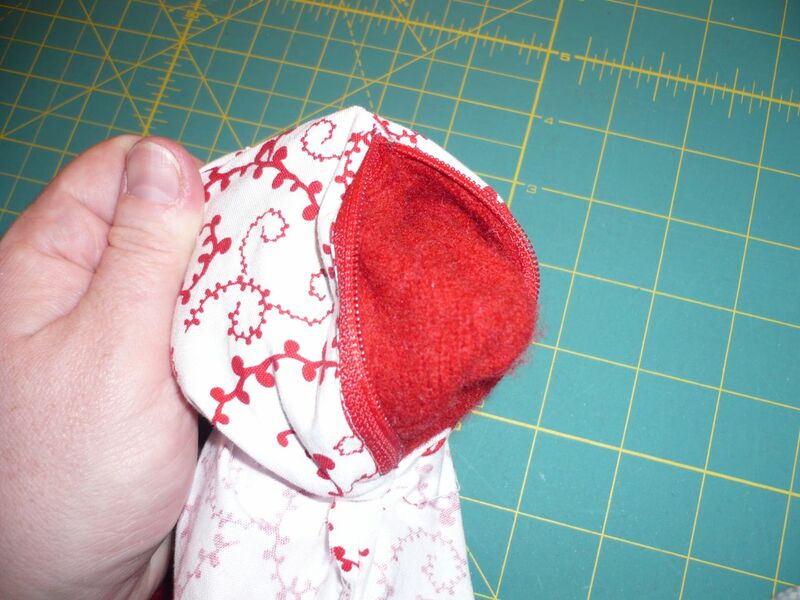 This will be imperative in later steps and will keep your sleeve from turning out wonky. Now both sides of the zipper have 2 pieces of fabric sewn to them. If you open it up this is what the outside looks like. 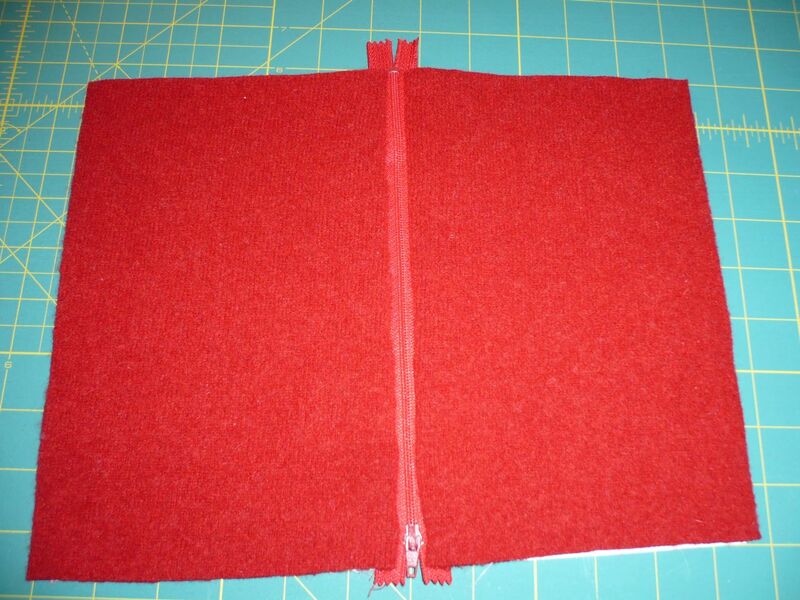 And if you flip it over, this is what the inside fabric looks like, the zipper is unzipped in this picture. You’ll essentially have 4 flaps of fabric attached to the zipper at this point. 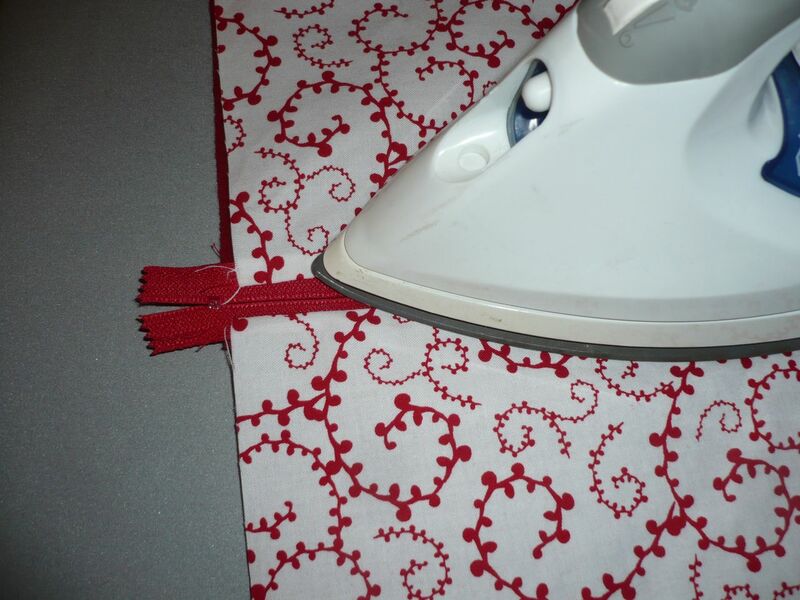 Iron the fabric away from the zipper to make a nice crisp fold in the fabric. 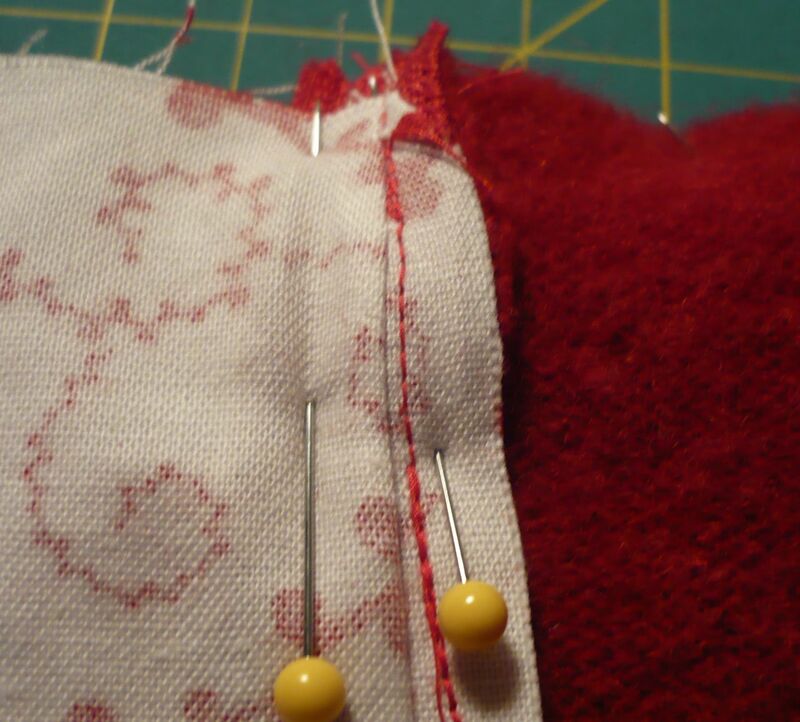 Top stitching is optional, but I find if helps keep the fabric from becoming entangled in the zipper. 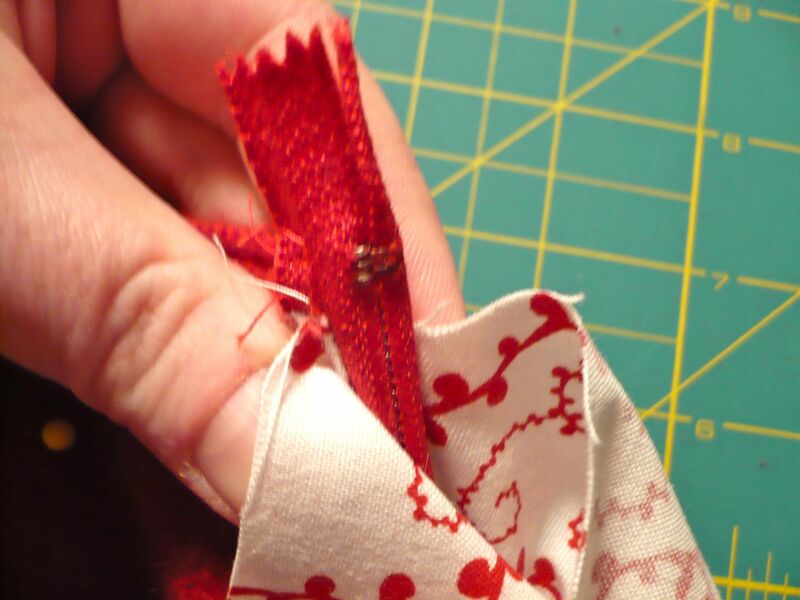 So if you are top stitching, using your zipper foot, stitch along the edge of your fabric near the zipper. Flip around and repeat on the opposite side. Undo the zipper about half way. 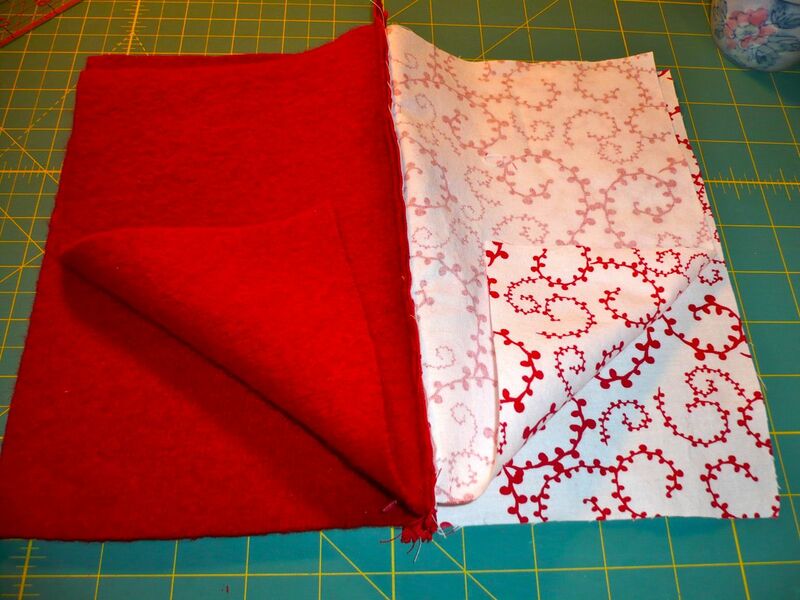 Lay your fabric flaps with outer fabrics right sides together and the same for the inner fabrics. The zipper will be on the inside. 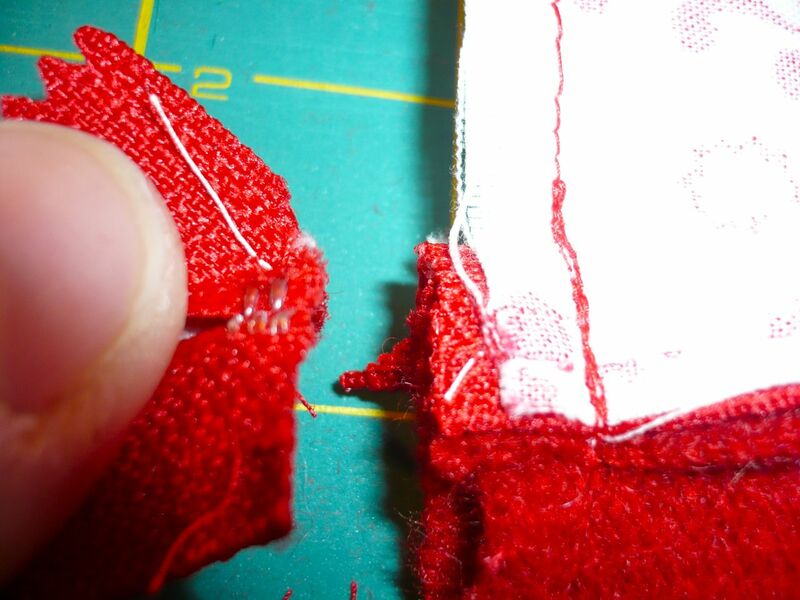 Fold the zipper teeth over to face the inner fabric and line up the loose (unzipped) zipper ends. Pin the zipper in place well to prevent shifting. 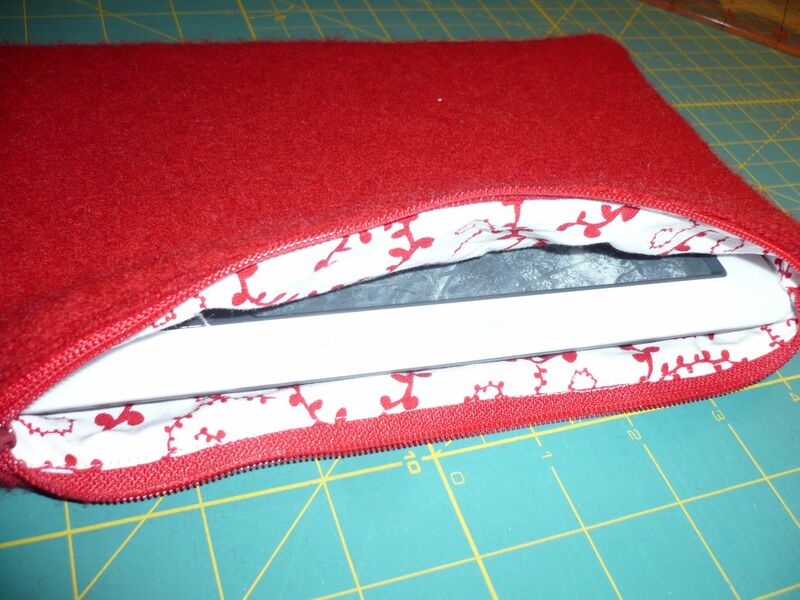 Fold the zipped end of the zipper in half and with the underside of the zipper (zipped teeth) towards the inner fabric. 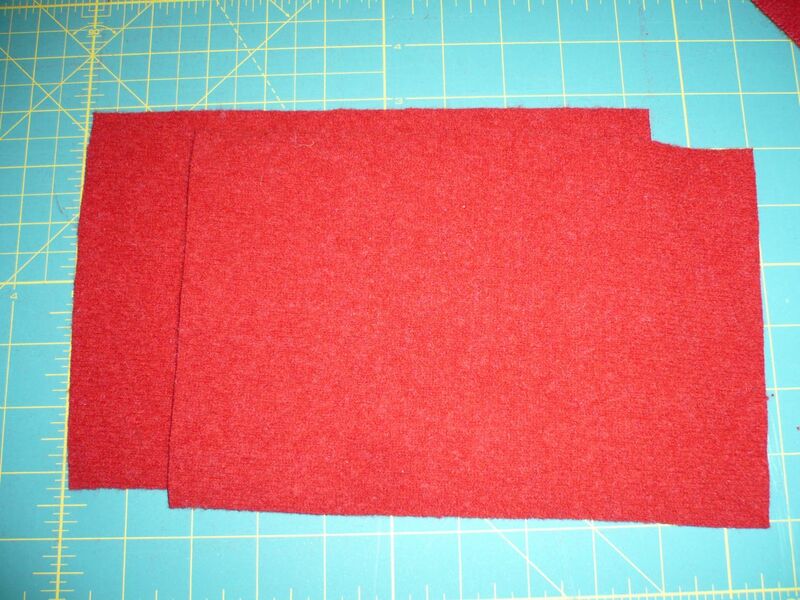 Line up the rest of the fabric edges and pin all the way around. 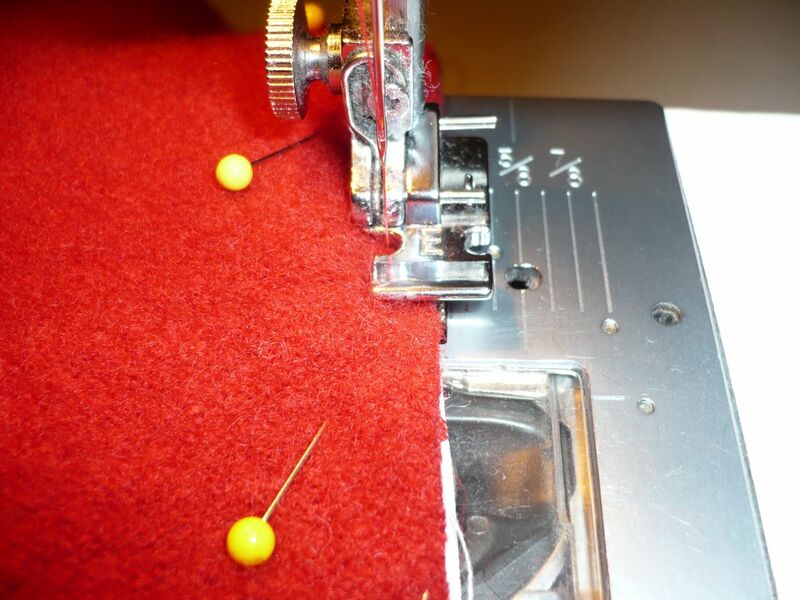 Switch back your regular sewing foot. 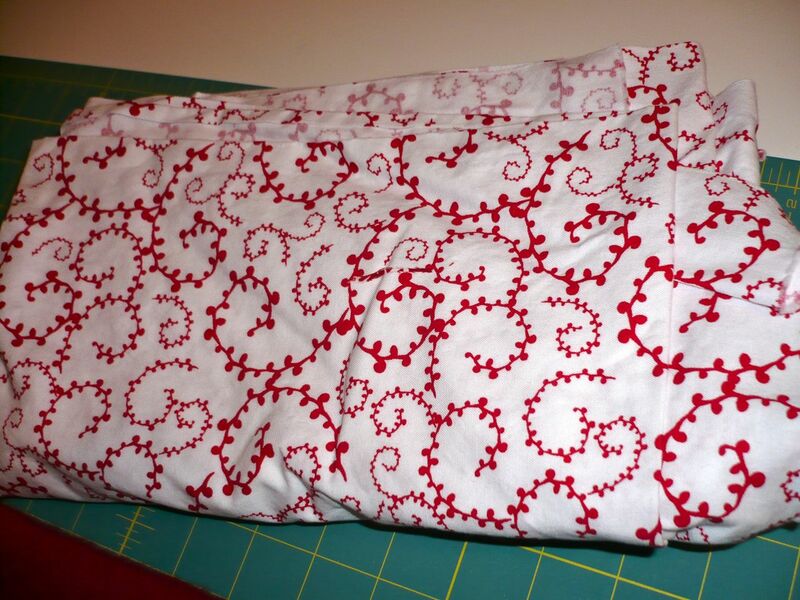 Start sewing in the middle of the long edge of the inner fabric. 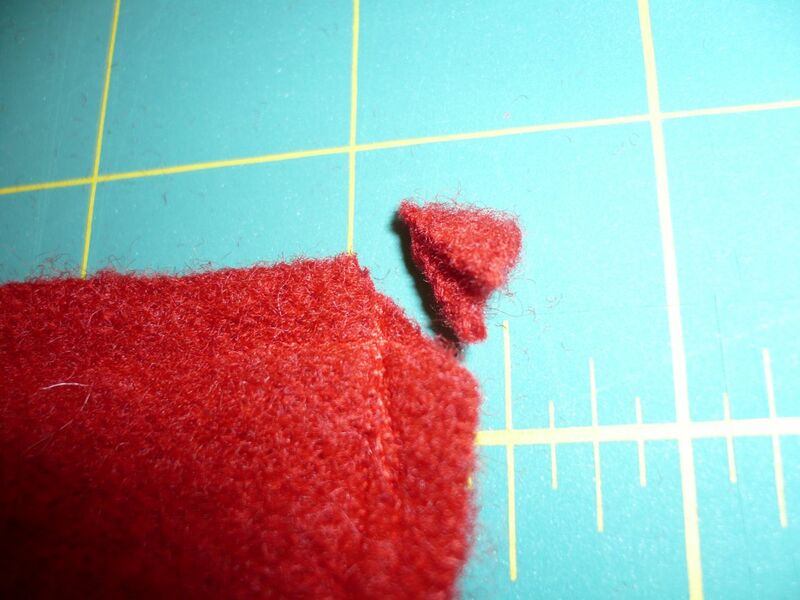 Use a 1/4 inch seam allowance. When you come to the zipper, don’t be scared of it. Just go over it slowly if you’ve never done it before. 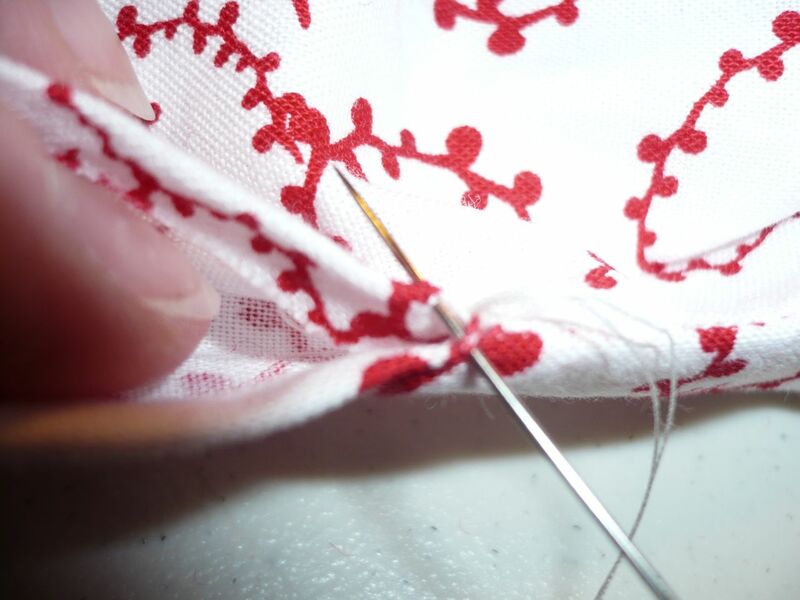 Do a few reverse stitches and sew back over it again to ensure that it is secure. 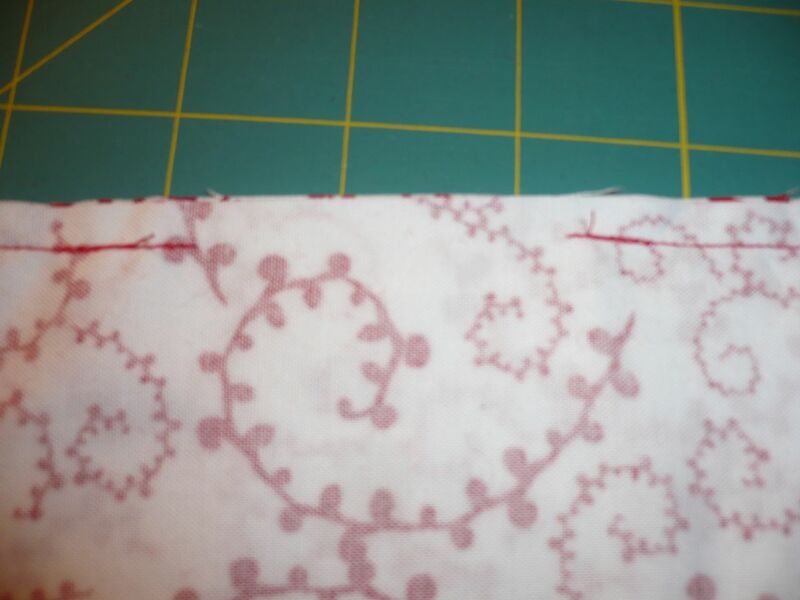 Continue sewing all the way around, leaving the last 3 inches or so open. This is so you can turn the whole thing inside out. It should look something like this at this point. If you want rounded corners, you can make that modification now. Just round off each of the 4 corners and resew over the modification. 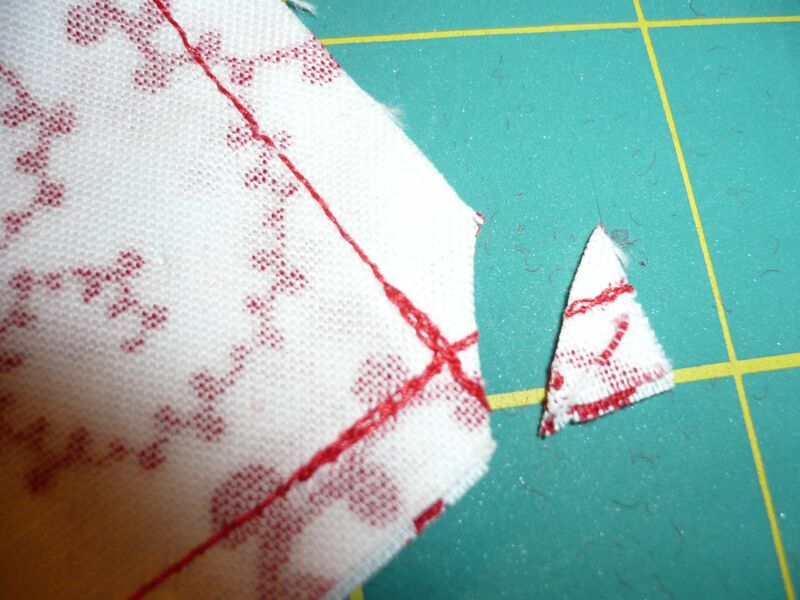 It is easier to do it at this point incase your pieces didn’t line up after previous sewing. 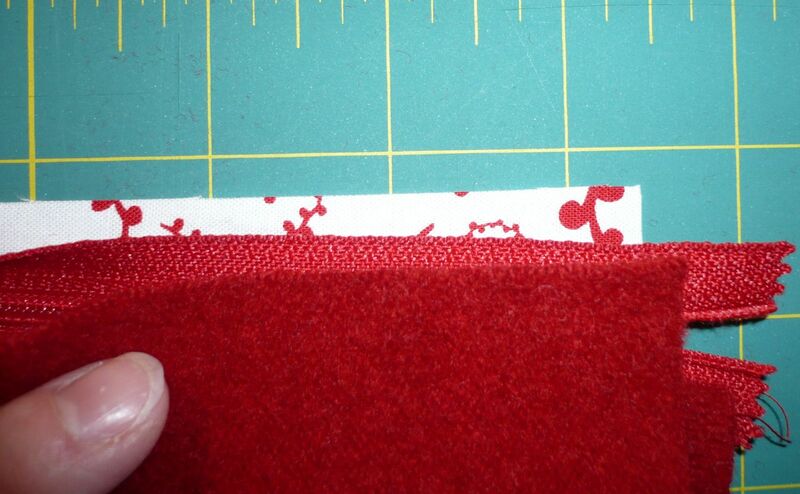 It also cuts down on the confusion of which side to sew where at the beginning. Trim off any excess zipper that may be hanging off the ends. 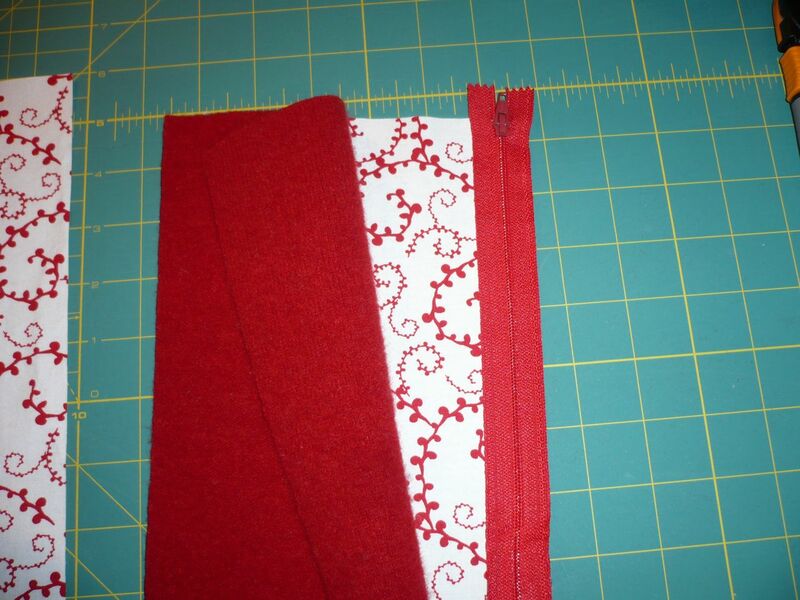 And clip corners for easier turning and less bunching. 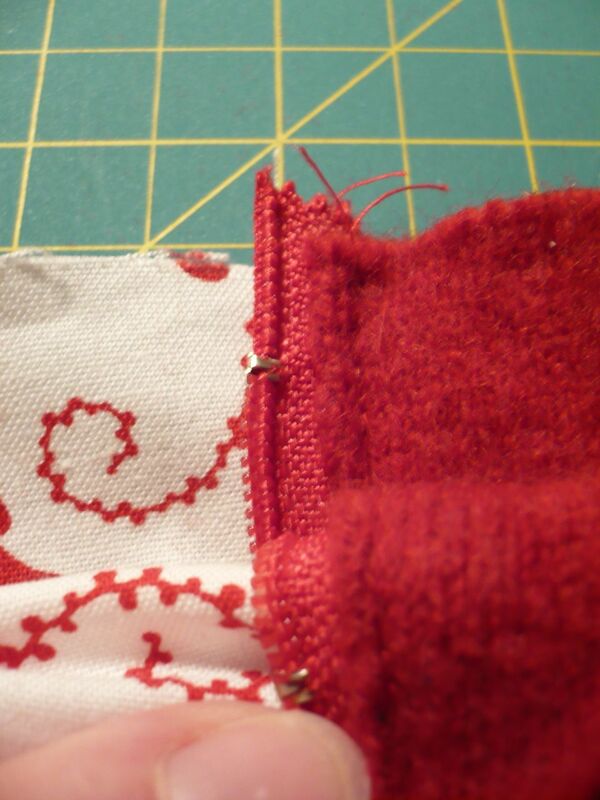 Begin turning the sleeve right side out through the opening left in the inner fabric. This is when having the zipper half unzipped really helps! 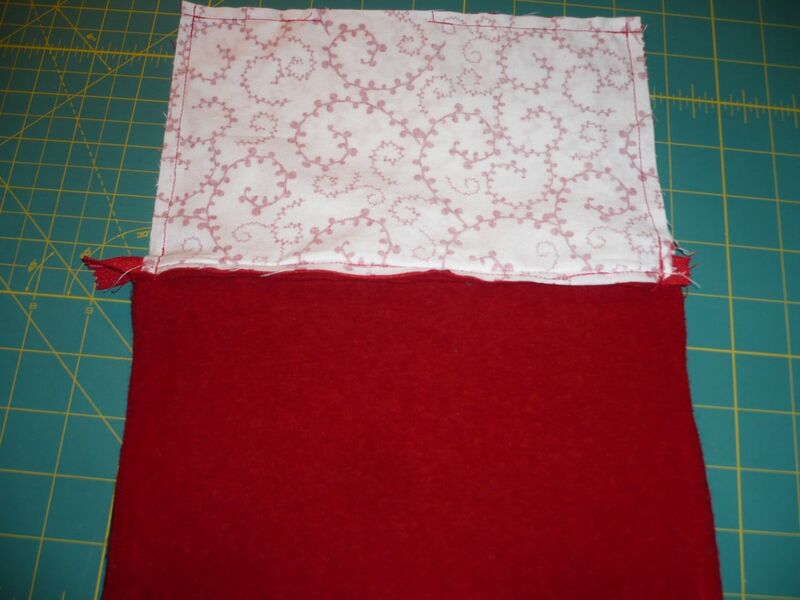 After you’ve completed turning it inside out, make sure that your nook fits inside if it is too large you can always cut it down a little by flipping it wrong side out and removing a little from one end and sew that one side up again. 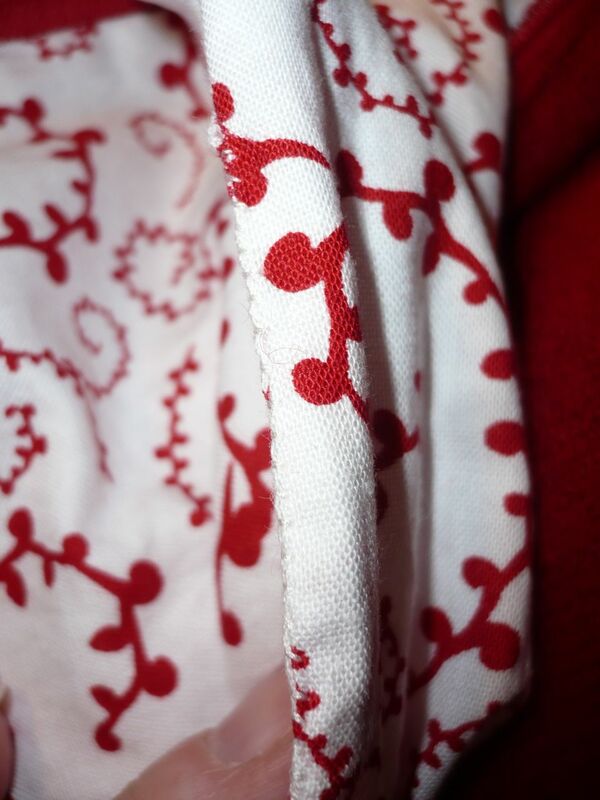 So once you are happy with the fit, the opening in the inner fabric needs to be sewn up. 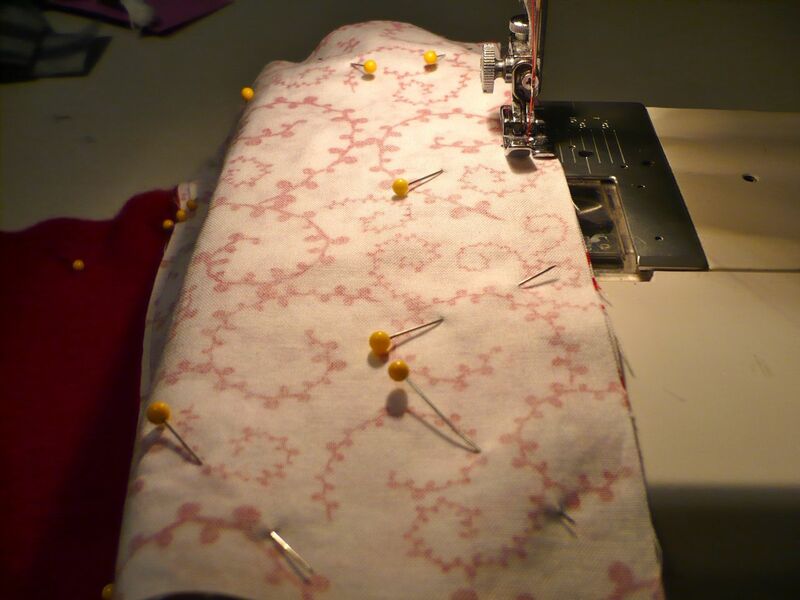 you can sew it closed by machine stitching close to the edge, or by hand. A simple whip stitch does just fine. And there you have it! 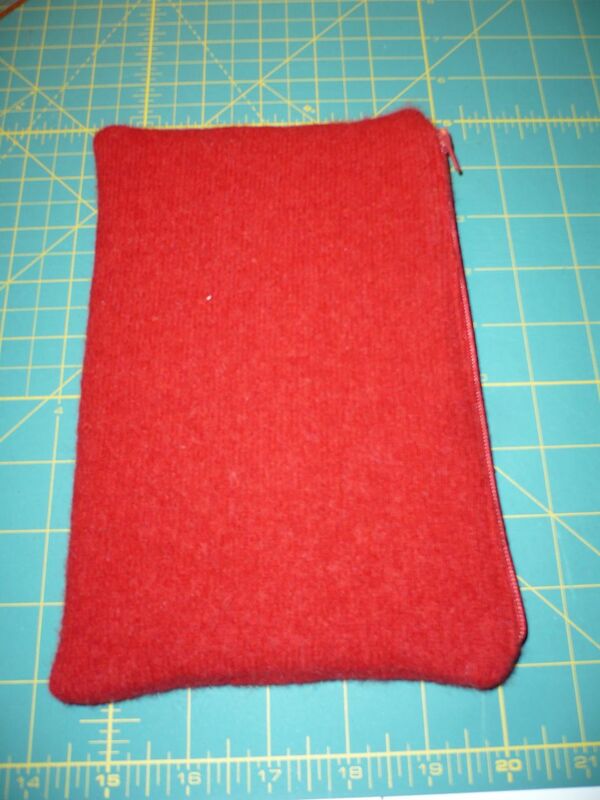 One Nook sleeve…. 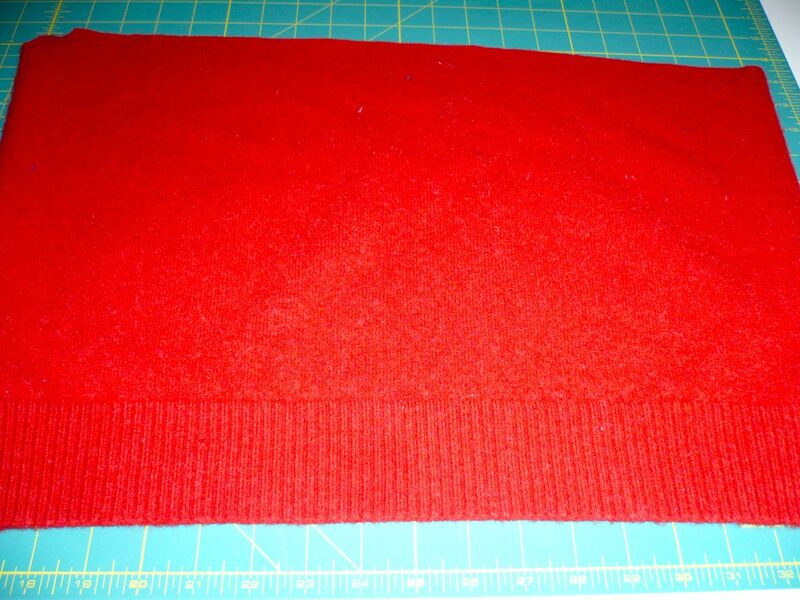 This entry was posted in cotton, fabric, repurpose, reuse, sweater, Tutorial, up-cycle, wool. Bookmark the permalink. Thanks for sharing this! It was the first pattern I found on my search and I think I'm done already. Great instructions!